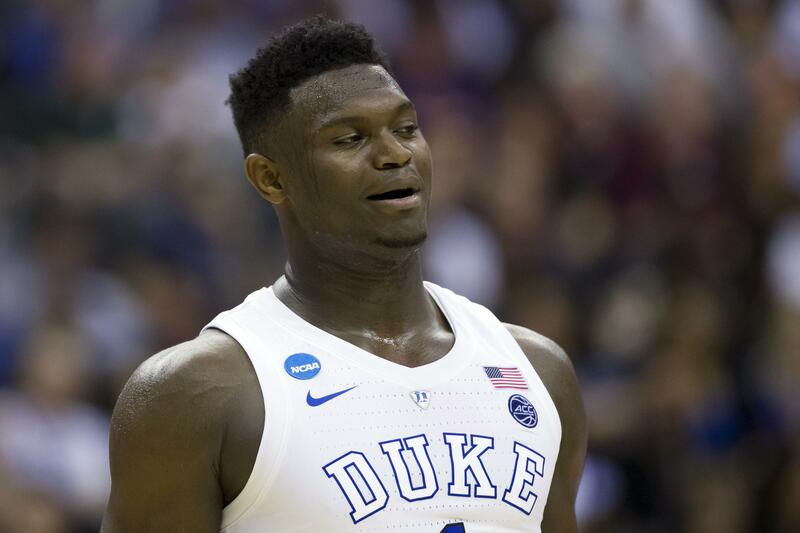 UPDATED: Fri., April 12, 2019, 7:39 p.m.
LOS ANGELES – Zion Williamson of Duke insisted he doesn’t know if he’s going to declare for the NBA draft and leave Duke early. Williamson’s trophy cabinet is already overstuffed. He has collected numerous awards – including The Associated Press player of the year – for his efforts in leading the Blue Devils to the Elite Eight of the NCAA Tournament. They lost 68-67 to Michigan State, denying themselves a trip to the Final Four. Published: April 12, 2019, 5:21 p.m. Updated: April 12, 2019, 7:39 p.m.